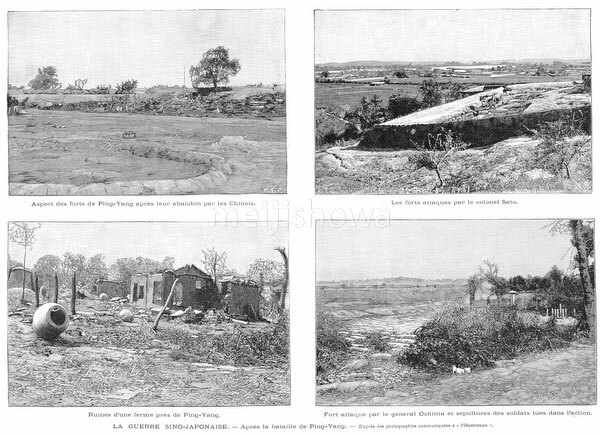 Images of Pyongyang, Korea after the Battle of Pyongyang during the First Sino-Japanese War (1894–1895). The battle was the second major land battle of the war and took place on September 15, 1894 (Meiji 27). Published in the French illustrated weekly L’Illustration on January 5, 1895 (Meiji 28).